Lighthouse will be celebrating 50 years of music in 2019 and we're taking the party from coast-to-coast. We've already celebrated at the Flato Theatre in Markham, the First Ontario Performing Arts Centre in St. Catherines and on the Justin Hayward hosted On the Blue cruise. We're heading out west in March with stops at the Kay Meek Arts Centre March 22nd and 23rd, Vic Juba Theatre in lloydminster AB March 27th, River Cree Resort and Casino in Enoch AB March 28th, Broadway Theatre in Saskatoon SK March 29th and Casino Regina March 30th in Regina SK. All tickets can be purchased directly here. On April 27th Lighthouse will be performing with the Ontario Philharmonic at the Regent Theatre in Oshawa. Lighthouse's once in a lifetime blow-out birthday bash will be taking place 50 years to the day of the first Lighthouse gig on May 14th at one of Canada's most prestigious venues, Koerner Hall​. There are many surprises planned so click on the link above to be part of the celebration before it sells out. Tickets are almost gone!! We're starting to line-up summer festival gigs so check out the On Tour page frequently for updates. 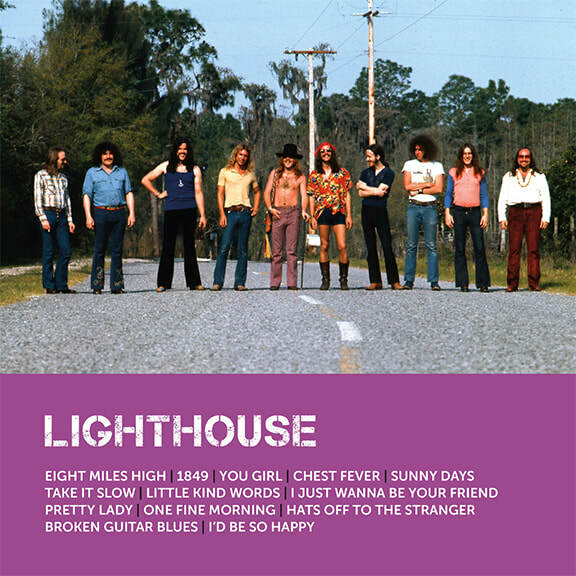 We're excited to offer this brand new Lighthouse compilation CD that includes previously unavailable early classic recordings of Eight Miles High, Chest Fever and I'd Be So Happy with liner notes by Grammy Award® winning author Rob Bowman. Click here to see where Lighthouse will be playing next...and while you're at it check out the Photo Gallery. On May 14th, 2012, at Massey Hall in Toronto, Leonard Cohen was awarded the Glenn Gould Prize. Afterwards, Cohen had a chance to mingle and party with friends across the street at Fran's. ​The Glenn Gould Foundation asked Lighthouse, to continue the musical tributes with an intimate acoustic performance. The band chose Cohen's haunting Tower of Song. Cohen stood front and centre and was obviously delighted as he danced and sung along with the band. When the song ended he leaped forward and shook everyone's hand, saying with a broad grin that this was the best version of the song he'd ever heard. The magical performance was shot by the Glenn Gould Foundation and posted on YouTube. When the band heard about Leonard Cohen's passing, we decided to honour him by recording the song that he'd so obviously loved. Mega award winning producer Bob Ezrin saw the video, also loved it, and offered to produce the recording at Noble St. Studios in Toronto. There was a reverent hush at the beginning of the recording as everyone gathered around a photo of Cohen. Thus inspired, and with the help of Ezrin and engineer George Seara, Lighthouse created magic again as Dan Clancy's exquisite vocal soared over the band's simple blues-rock arrangement, capturing the essence of the song. David Hoffert and Matt Clayson shot and produced the video incorporating footage from the recording session with footage shot by the Glenn Gould Foundation at the reception. Please feel free to post or share the video. I'd like to salute everyone involved in creating this wonderful recording and video. It was a labour of love. And a special thank you to the Glenn Gould Foundation for inviting us to perform. ​To see more photos from the session click here. 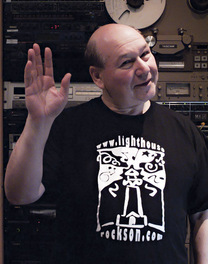 The recording of Lighthouse's Tower of Song, along with their ode to summer, Sunny Days, is included in Universal Music's 6 CD boxed set titled Canada 150: A Celebration of Music to be released in the fall. It was a sad day when we learned that Skip's health was making it impossible for him to continue performing. His extraordinary technique and musicality were such a large part of the iconic Lighthouse sound we couldn't imagine replacing him. And the first gig without him would be on the Moody Blues Cruise, playing alongside such superstars as Roger Daltrey, Carl Palmer, The Strawbs and of course, The Moody Blues. However, Skip came up with a fabulous solution - his son Jamie! ​If Jamie was at all intimidated by taking on such an enormous responsibility, he never showed it. After working together intensely for 3 months Jamie confidently slipped behind the drums for the first performance and the transition was seamless. The reception from the audience was electric and the buzz onboard the ship was that Lighthouse was killing it. Despite his youth, Jamie brings years of experience with him. He's super-charged the band with his vibrant energy incorporating solid technique with rock 'n' roll flair to create a style that's uniquely his own. He's done his Dad proud!! Lighthouse is very proud of this release. The package pairs a completely remastered CD featuring 16 of the most requested original classics with a 5.1 surround sound DVD. If you've been to a Lighthouse concert recently you know how fantastic this band is. If you haven't, this is the chance to see and hear what everyone is raving about. Included with the CD and DVD is a twenty-four page booklet with archival and recent photographs and liner notes by Grammy Award® winning musicologist Rob Bowman. Did Lighthouse play at your High School in the '70s? The band would love to stir up memories and play at your reunion. 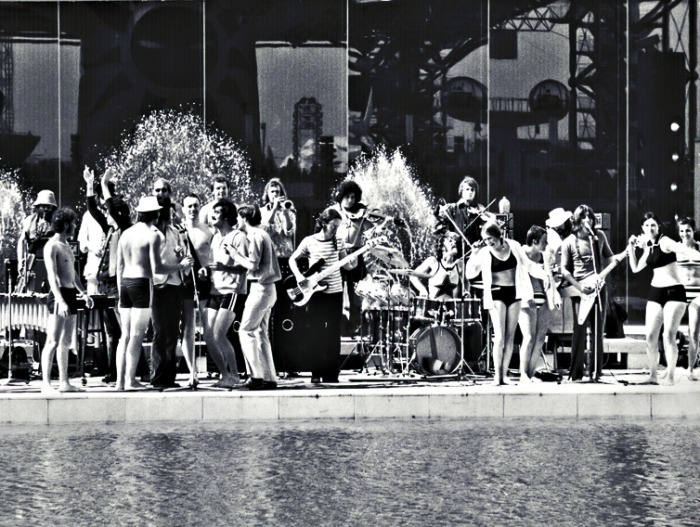 Were you at Expo '70 in Japan? Do you see yourself in this picture? Or did you see the band that day? Let us know by clicking here. The photo below was taken at Expo '70 in Japan with the hosts of the Canadian Pavilion? Are you in this photo? Did you see Lighthouse perform in Japan? When was the first time you saw the band? When was the last?